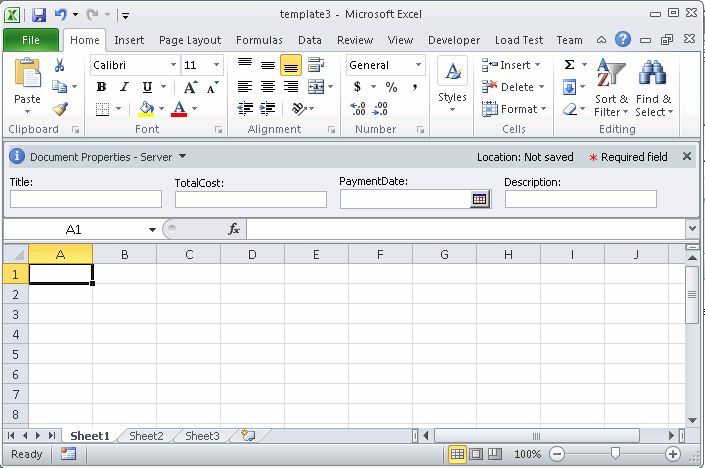 In first aticle i have told about how to update Excel Server Properties and integration of Moss 2007 for old Excel 97 and 2003 format. As explained before its not able to do that with new xlxs file formats without using some visual basic code. I have created a document library named TestExcel on my Sharepoint and select document file template for excel file. After do that i have created 3 column on list. 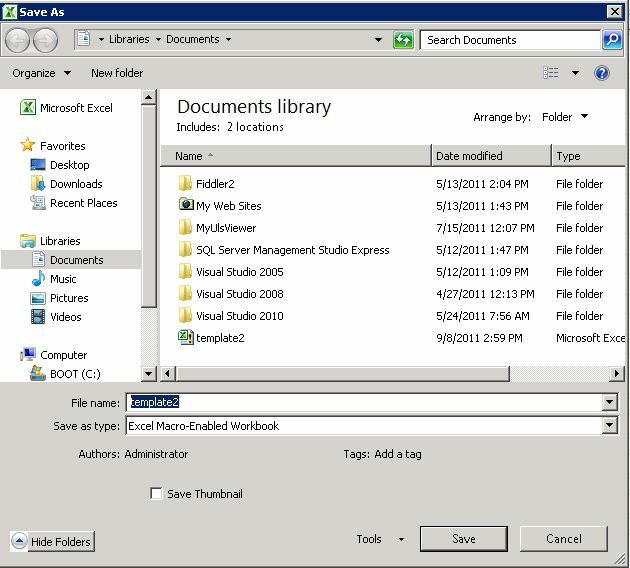 So far so good Lets go to Document Library and create a new Excel Document form library by clicking New-> Document. 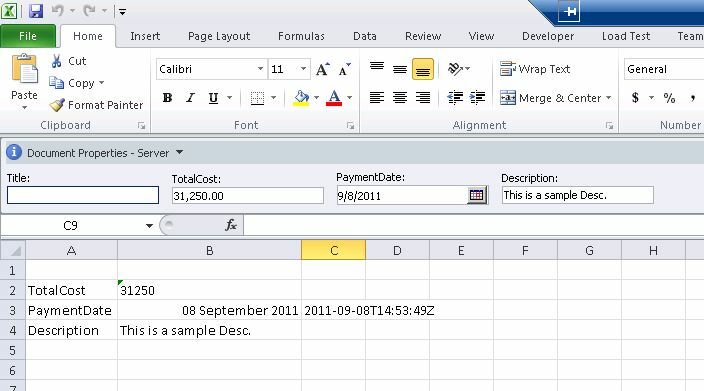 If everything is ok you will see familier Excel 2010 open your document. 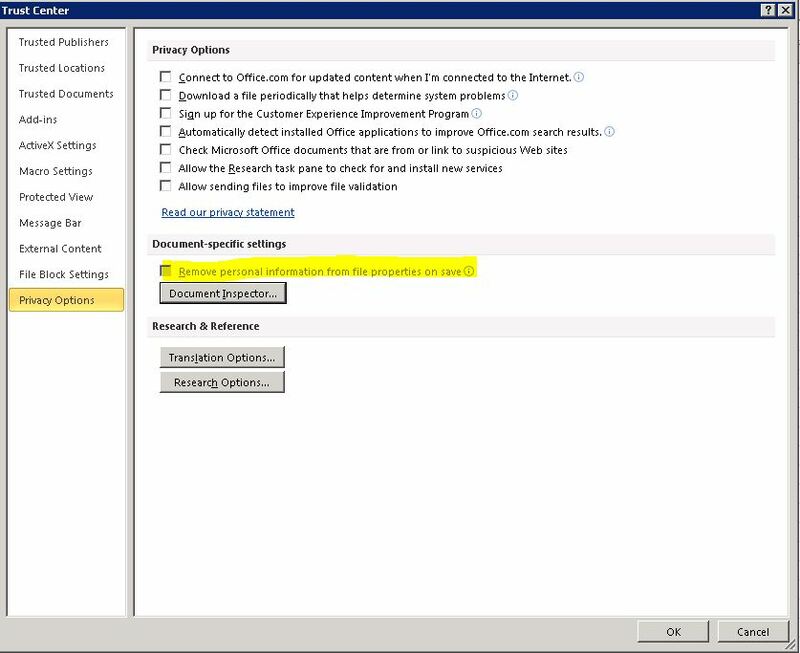 And notice that Document Properties panel is opened for you. If you are getting problem with to open Excel document by clicking Sharepoint Document Library ->New-> Document you have possible owssupp.dll registration problem. !! 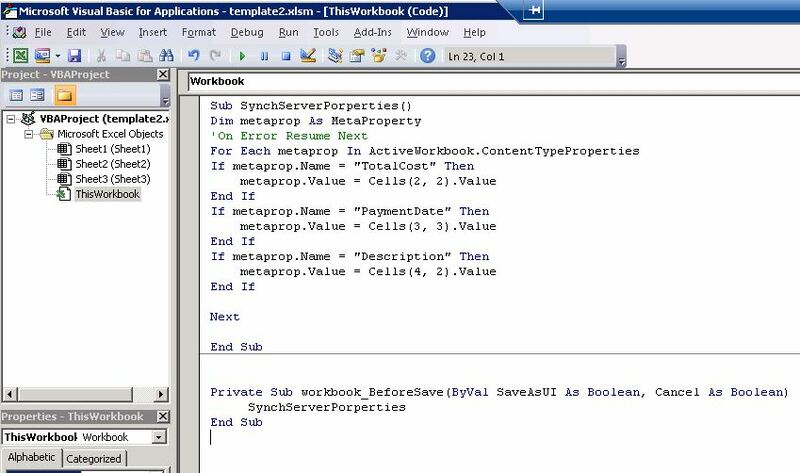 !Dont forget to save this excel file as “Excel Macro-Enabled Workbook” for other users can able to use this file correctly. I have created a sample excel content see bellowed screenshot. And notice that i have give cells names which i want to map with server properties . !Important : Sharepoint uses ISO8601 format (YYYY-MM-DDTHH:MM:SSZ) for saving dates so you should make changes on date format for sharepoint understanding. 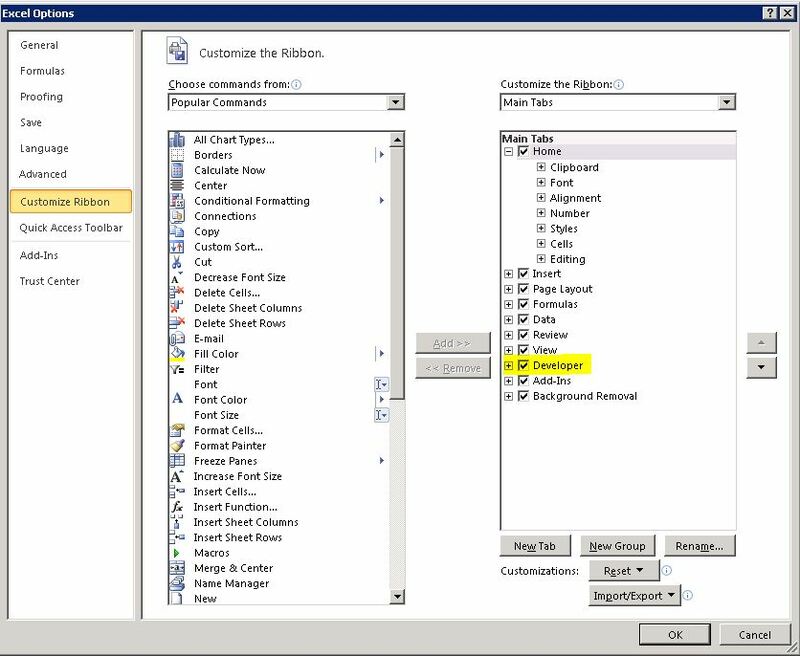 Now we have to enable Developer Tab on office ribbon . For do that. And Check “Developer” check box. and click ok. Select Developer Tab -> Click Visual Basic. //This function is updates server properties. ‘We are updating Server Properties before save the file. *This code provide us when user save file , server properties would be updated. Click “Save” on excel and test server properties updated. 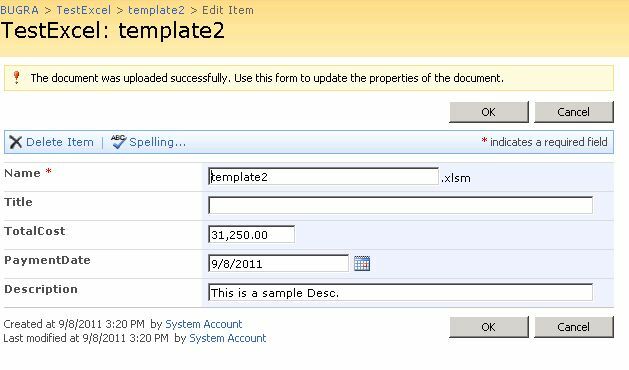 Update xlms file to sharepoint. When everytime you click “Save” If you are annoyed a “Privacy Warning” message like me you can get rid of it bellowed way. 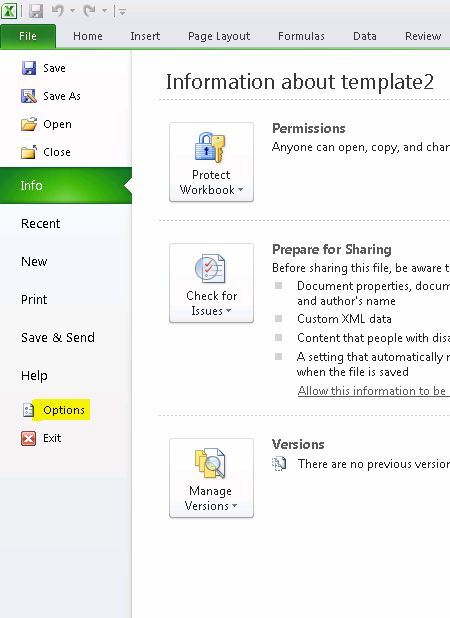 Upload “xlsm” File to Sharepoint and notice that metadata form filled automatically.